Full nutritional analysis accompanies each recipe makeover, along with tips on how it was made healthier. For instance, EatingWell's chicken-fried steak with gravy has almost half the fat and a third of the calories of the classic version yet still tastes as rich and satisfying as the original; a few healthy modifications to pepperoni pizza will cut calories, sodium, and fat by a third or more. 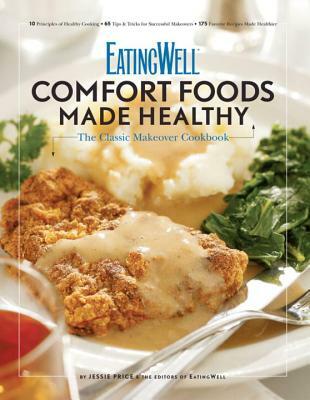 EatingWell Comfort Foods Made Healthy also solves problems for real families, including a Chinese dinner a diabetic can appreciate and healthier crispy tacos for a family from Texas.